This prestigious five-week study program provides academic and personal growth in a non-traditional experience at Centre College, Morehead State University, or Bellarmine University. Students were selected on the basis of test scores from the PSAT, SAT or ACT. Their unweighted GPA and difficulty of course load was also taken into consideration. Students submitted a writing entry and demonstrated what they have done in the areas of extracurricular activities and service. Mr. Ron Dawn, Principal stated, "Being chosen for the Governor’s Scholar Program, one of Kentucky’s top student awards, is quite an accomplishment - long hours of school work, community service, and applying for the program. Thousands of highly qualified juniors from across the state of Kentucky apply each year, and the competition is fierce. 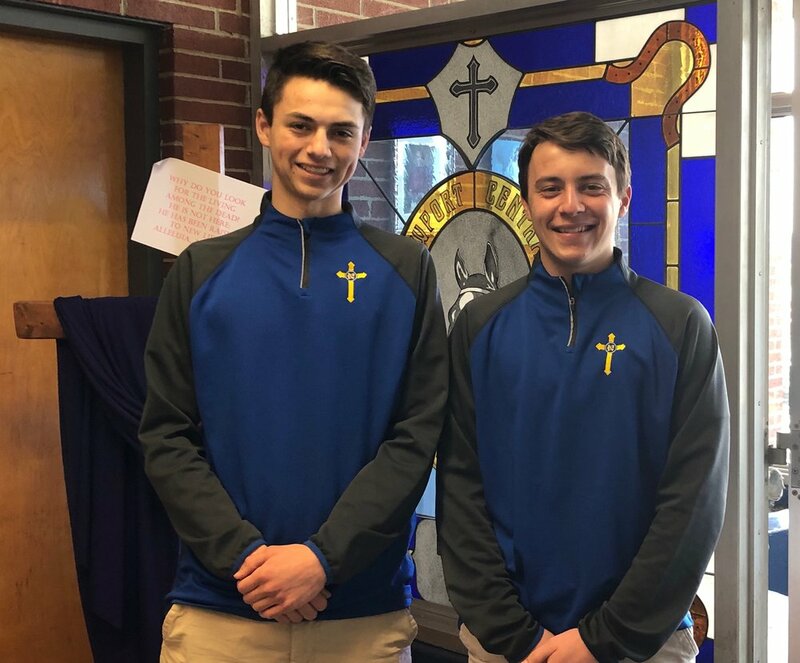 We are proud to recognize Jacob and Jonah and congratulate them on their acceptance to this distinguished program; they truly deserve and have earned this opportunity."